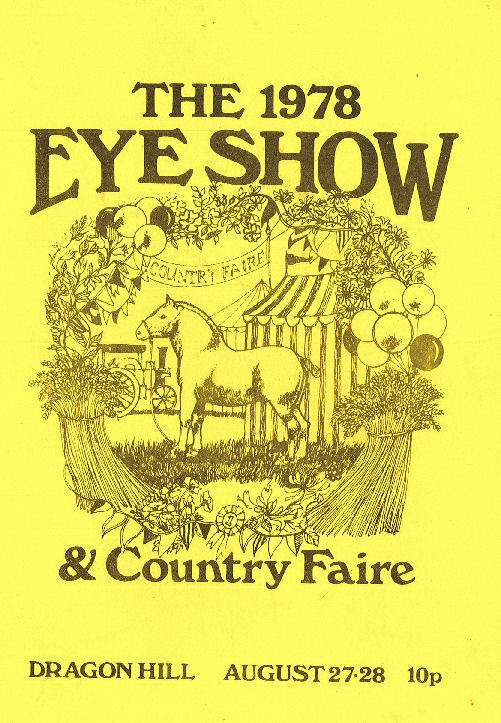 Thanks to the success of the previous year's small contribution, in 1978 the organisers gave Albion a whole field and funding. 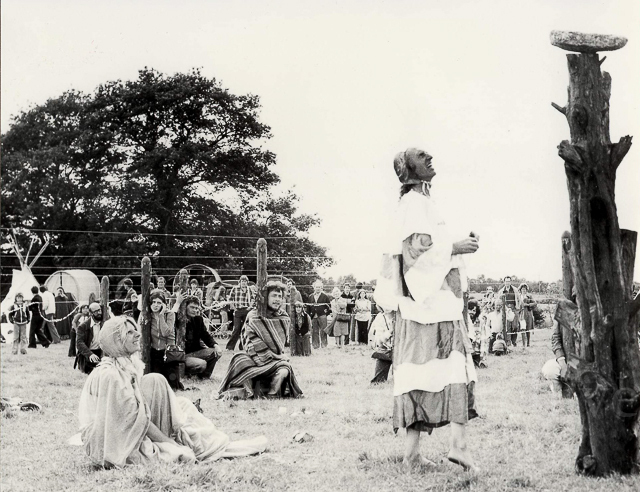 The pagans and druids among us took the opportunity to assemble a replica of the woodhenge at Avebury, which was strung with gut over half coconut shell resonators so as to create the Magic Harp of Mercury. A lump of granite from the Cheese Ring Stone Circle was place atop of the central pillar. The collective plucking of the Harp was to effect the levitation of the stone. For the pagans a scene of religious ceremony, for the rest a fine piece of community theatre.